For many Oregonians a road named The Aufderheide Scenic Byway may conjure up mental images of riding through Germany’s Black Forest region, when in fact, it is right here in our Eugene “back yards”. Aufderheide Drive was named after, and dedicated to, the memory of Robert Aufderheide who was Willamette National Forest Supervisor from 1954 until his death in 1959. The Aufderheide Scenic Byway, also known as NF Highway 19, runs north from the scenic little town of Westfir, Oregon just west of Oakridge to Highway 126 at Rainbow, Oregon. 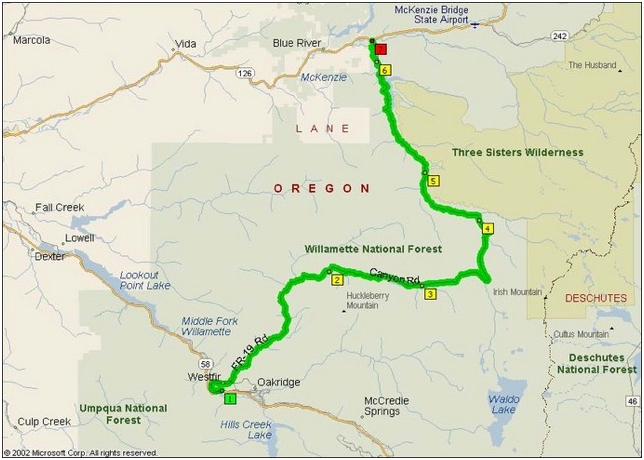 The road, with its many twists and turns, follows The North and Middle Forks Willamette and South Fork of the McKenzie Rivers for 58 miles. Although some logging is taking place along the route, there is plenty of old growth forest. One of my favorite spots along the trail is Constitution Grove where visitors can wonder at 200+ year old trees! Many campgrounds are also available. 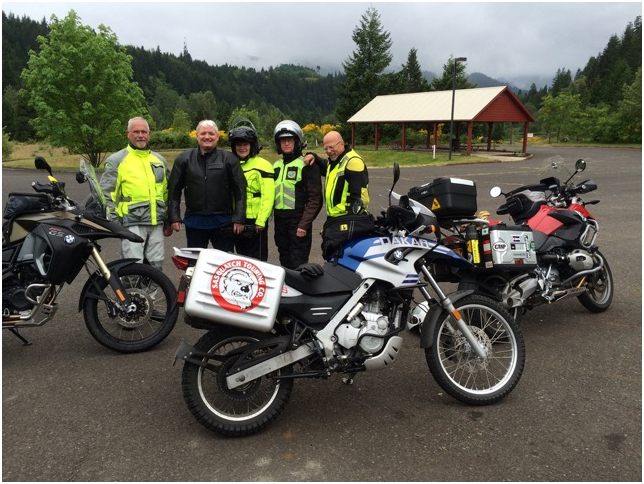 Following lunch on May 15, five BMWRO members booted up side-stands, and with tanks full, headed southeast on Highway 58 to Westfir, Oregon. At Westfir, we visited the Office covered bridge and had a short pit stop! Looking skyward, we discussed whether rain gear would be advisable. Temperature hovered in the high 50’s. We opted to forego the rain gear and set off along the Aufderheide Byway. Although the day was overcast, the weather did not dampen our spirits, save a few misty showers. The air smelled fantastic, and the trees and scenery were splendid. Our second stretch brake took place at Rainbow on Highway 126, were we stopped for snacks and their welcome “relief” stations before returning to Eugene. Road conditions on the Aufderheide are generally good, but a few words of caution are in order. Much of the road is Oregon green! Moss. So, smooth control inputs and limiting your lean angles are best heeded! Also, in the vicinity of the Cougar Reservoir, there are several short gravel stretches and a handful of monster pot holes that warrant a riders attention. “Forewarned is forearmed!" Next time you find yourself in the Eugene vicinity and have 4 hours to treat yourself to a true Oregon Experience take time to ride the Aurderheide. You won’t be disappointed and you may be surprised at who you may meet along the way! A great deal of information regarding the NF 19 ride can be found on the internet. Check it out!